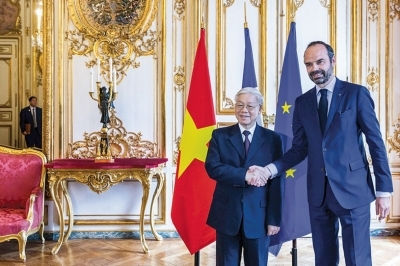 NDO - French Prime Minister Edouard Philippe arrived in Hanoi on November 2, to begin his three-day official visit to Vietnam at the invitation of Prime Minister Nguyen Xuan Phuc. 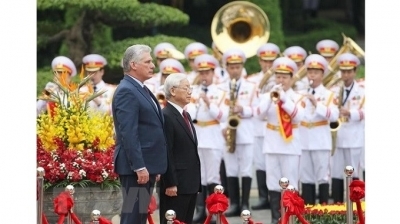 The visit, which coincides with the celebrations of the 45th anniversary of the diplomatic ties and the fifth anniversary of the strategic partnership between the two countries, aims to deepen the economic, trade and investment relations and promote bilateral relations in a deeper manner. 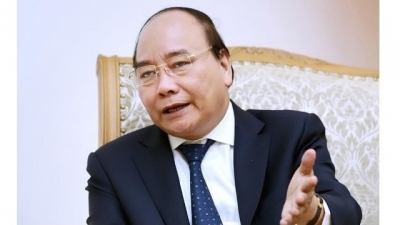 NDO - Prime Minister Nguyen Xuan Phuc and a high-ranking Vietnamese delegation are attending the 12th Summit of the Asia Europe Meeting (ASEM12) in Brussels, Belgium, and the Partnering for Green Growth and the Global Goals 2030 Summit (P4G) in Copenhagen, Denmark, as well as paying official visits to Austria, Belgium and Denmark and working at the European Union (EU) from October 14-21. 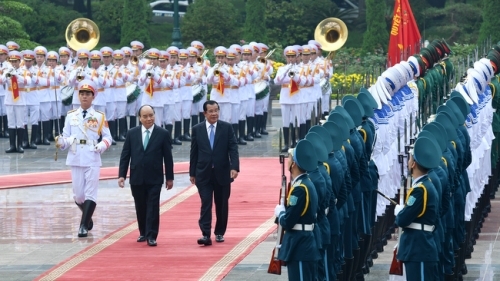 This is an important political event which aims to strengthen the relationship between Vietnam and its partners and convey the message of a dynamic Vietnam that is a reliable and responsible partner in the international community, while continuing to improve the prestige and position of Vietnam. 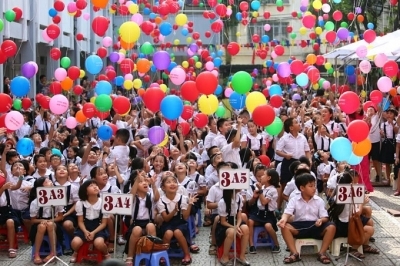 NDO - Today, September 24, in Hanoi, more than 10 million trade union members and workers across the country are welcoming the great festival of the working class: the 12th congress of the Vietnam General Confederation of Labour (VGCL). 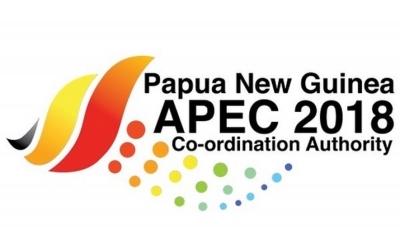 It is an important political event for the working class, opening a new phase of development for trade unions at all levels. 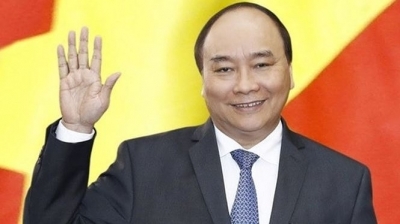 NDO - President Tran Dai Quang has gone forever. 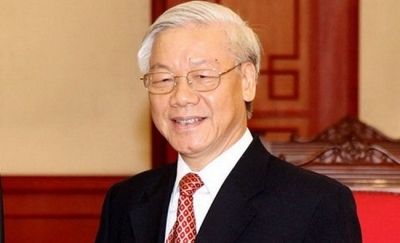 His death is a great loss to the Vietnamese Party, State and people. He passed away with a great deal of good intentions for the people and the country unfulfilled. 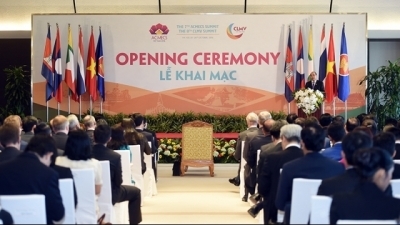 NDO - The 2018 World Economic Forum on ASEAN Summit (2018 WEF ASEAN) hosted by Vietnam takes place in Hanoi from September 11-13 and promises to be one of the largest multilateral foreign events held in Vietnam this year. 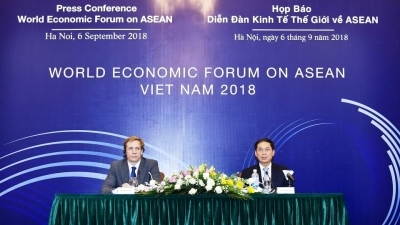 Under the theme “ASEAN 4.0: Entrepreneurship and the Fourth Industrial Revolution”, the WEF ASEAN 2018 is an important milestone in Vietnam's foreign affairs, affirming Vietnam's active and responsible contributions to regional integration and prosperity. 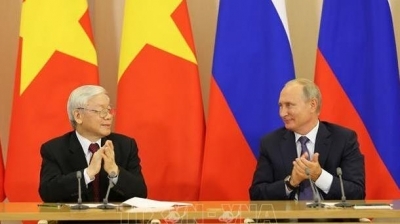 NDO – General Secretary of the Central Committee of the Communist Party of Vietnam Nguyen Phu Trong and a high-ranking delegation of Vietnamese officials have successfully wrapped up their official visit to Russia, which took place from September 5-8 at the invitation of Russian President Vladimir Putin. 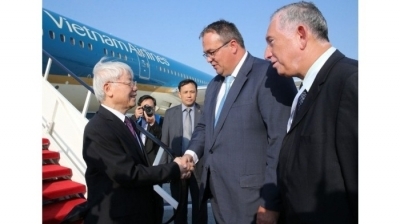 NDO - General Secretary of the Communist Party of Vietnam Central Committee Nguyen Phu Trong began his official visit to Hungary from September 8 to 11 at the invitation of the host Prime Minister Viktor Orban. 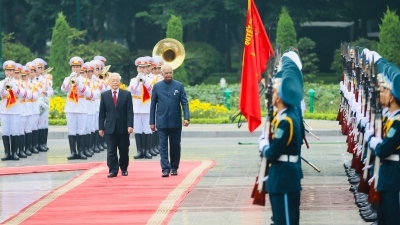 NDO - General Secretary Nguyen Phu Trong is on an official visit to Russia from September 5-8 at the invitation of Russian President Vladimir Putin. 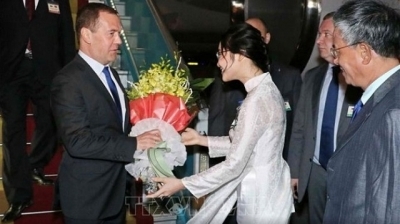 After the official visit to Russia in 2014 as a General Secretary, this is the Party chief's first visit to Russia after the 12th National Congress of the Communist Party of Vietnam and the first visit of a top Vietnamese leader to Russia after President Vladimir Putin was re-elected in March 2018 and has perfected the new leadership apparatus. 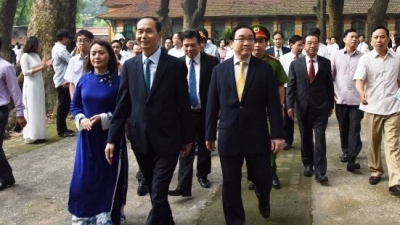 NDO – Today, September 5, teachers, cadres and civil servants of the Vietnamese educational sector, together with students and parents across the country, jubilantly welcome the opening ceremony of the new academic year of 2018-2019. 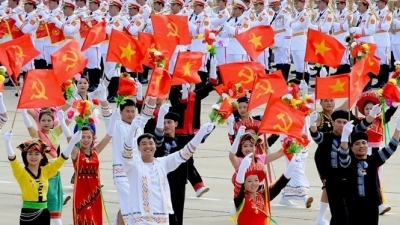 NDO - During its leadership, the Communist Party of Vietnam, headed by President Ho Chi Minh, has consistently considered patriotic emulation movements as a method of leadership, an art of guiding policy implementation and a lively and effective educational method. 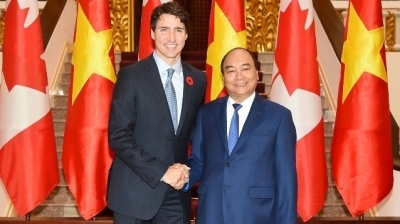 NDO - At the invitation of Canadian Prime Minister Justin Trudeau, Vietnamese Prime Minister Nguyen Xuan Phuc will attend the G7 Summit and visit Canada. 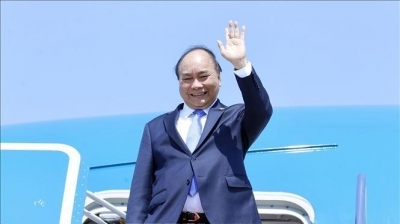 NDO - President Tran Dai Quang and his spouse pay a state visit to Japan from May 29 to June 2 at the invitation of the Japanese Emperor and Empress. 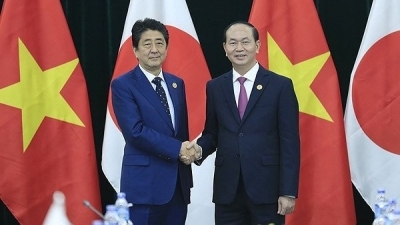 This is the first state-level visit to Japan by President Tran Dai Quang as the President of the Socialist Republic of Vietnam, which aims to intensify the traditional friendship and strategic partnership between Vietnam and Japan, while boosting multifaceted cooperation between the two countries in a more effective and practical manner.